This post contains affiliate links. Please read my disclosure. 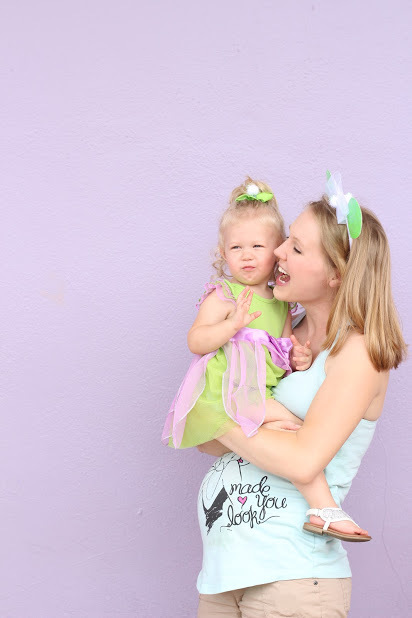 From the very first week I found out I was expecting, up until a few weeks before my due date, I made several trips to the Walt Disney World Resort in Orlando, FL. As Annual Passholders and Florida residents (not to mention my daughter’s favorite place), being pregnant wasn’t going to stop me from continuing our regular, monthly trips to the ‘Most Magical Place on Earth’. 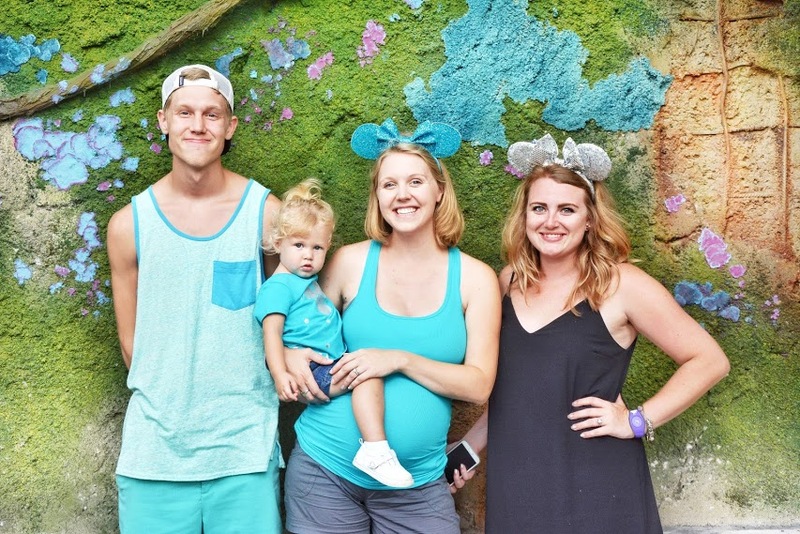 Surviving Disney World While Pregnant is easy as long as you prepare accordingly. I found out I was pregnant with my first child a few days before a big Disney trip for my friend’s bachelorette party weekend. 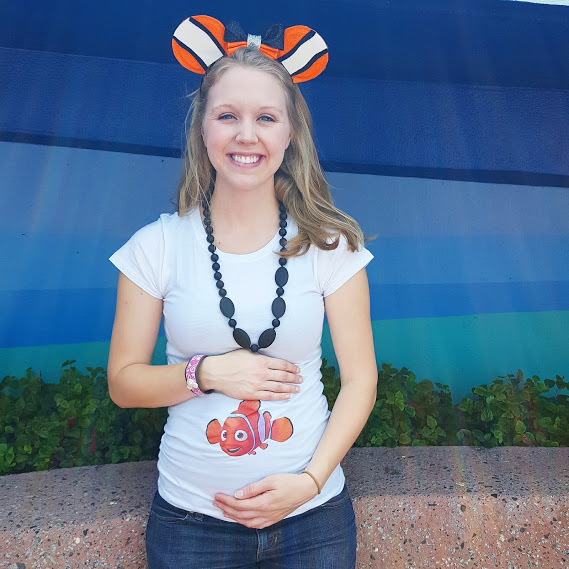 Unlike the second and third trimesters where you have a visible baby bump, the first trimester can be a little different when tackling a major theme park. I would strongly recommend avoiding all major coasters when visiting during first trimester. Better safe than sorry. This includes Space Mountain, Splash Mountain, Thunder Mountain, Seven Dwarves Mine Train, Test Track, Mission Space, Everest, Rockin’ Roller Coaster and Tower of Terror. While that may sound like a lot, there are still PLENTY of attractions and shows to enjoy. What about Kilimanjaro Safari pregnant? Two rides that do “suggest pregnant guests don’t ride” that I think are actually pretty safe for first trimester are Flights of Passage and Kilimanjaro Safari, both at Animal Kingdom. Flights of Passage is not intense in terms of the ride itself, but it is really fun. The harness system presses against your lower back and calves while you sit similar to riding a motorcycle. This would not be good for pregnant women in the second and third trimester, but in those first 13 weeks, when you don’t really have a bump, you can sit comfortably on this ride without your belly touching the attraction. It is also warned not to do Kilimanjaro Safari pregnant, however, this is basically a bumpy truck ride. I rode this until about 25 weeks pregnant without issue. Of course, you should ALWAYS consult your personal doctor and use your best judgement when deciding what is best for you. 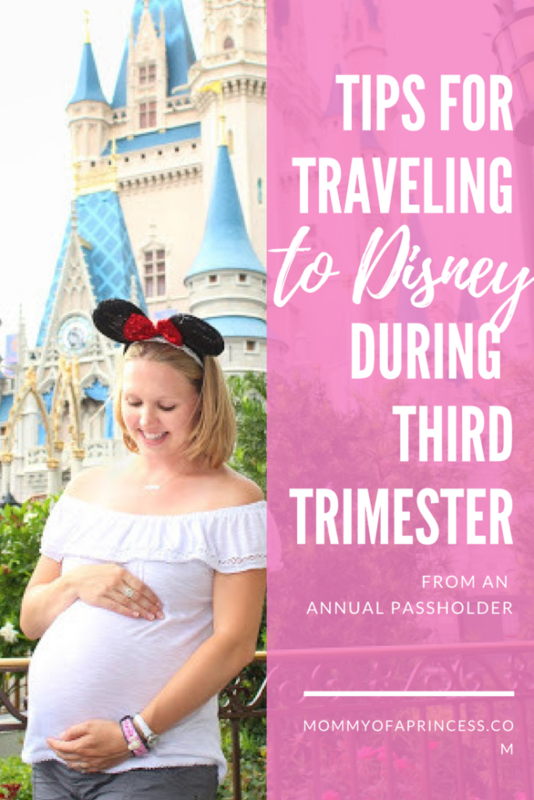 If visiting Disney World while pregnant first trimester, you’ll want to ensure you bring something along for any nausea. What really helped me was sucking on peppermint candies, eating ice and these Prego Pops. Due to the early release of the hormone Relaxin during the first trimester, it can also be more trying to walk around a theme park all day. 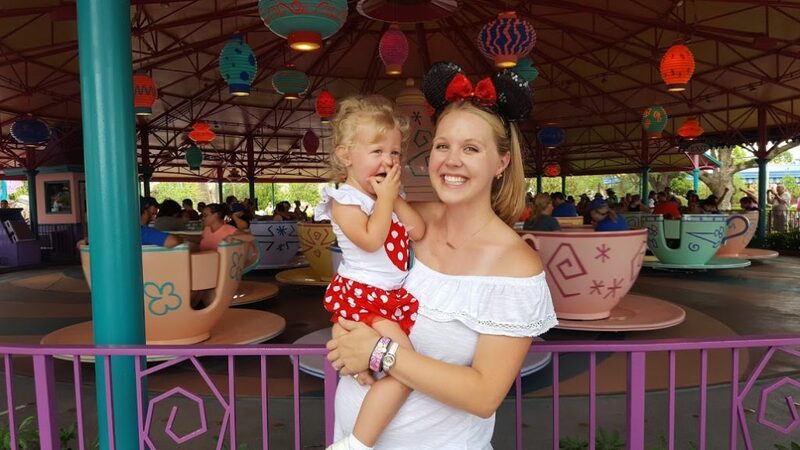 I remember having lots of hip and knee pain (usually I do not have either) when at Disney World while pregnant first trimester. So just be sure to build in extra breaks and wear good shoes! 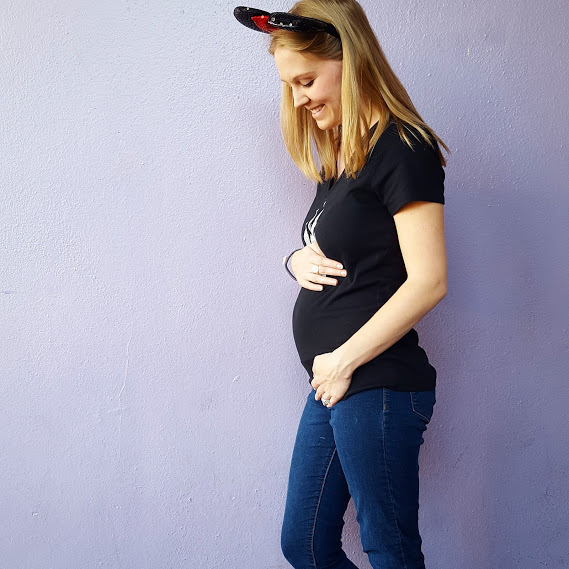 Navigating Disney World while pregnant 13+ weeks can be a bit more difficult. While you’ve passed the nausea (hopefully) and have a bit more energy, you’ll have a visible belly and can still get fatigued along with round ligament pains and swelling feet as you enter the third trimester. 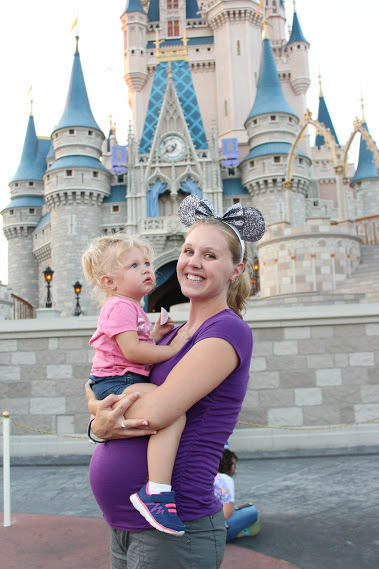 Here are some tips for mamas traveling to Disney World Pregnant past the first trimester. In the Florida heat it’s important to stay well hydrated, especially during the hotter months. When you’re pregnant, water is even more vital to ensuring the health of both mama and baby. Any refreshment stand or restaurant that offers fountain drinks will provide a cup of ice water free of charge. There’s nothing “magical” about tap water at Disney. In fact, if you’ve ever had Florida tap water you probably know it’s not very tasty. If you have other small children, I recommend stopping by a Baby Care Center (located at each park) and fill up a reusable water bottle (or two) with their filtered water provided as a courtesy for bottle fed babies. It’s much tastier, trust me! Or bring a soft cooler with frozen water bottles into the park. Staying hydrated is key to surviving Disney World while pregnant. 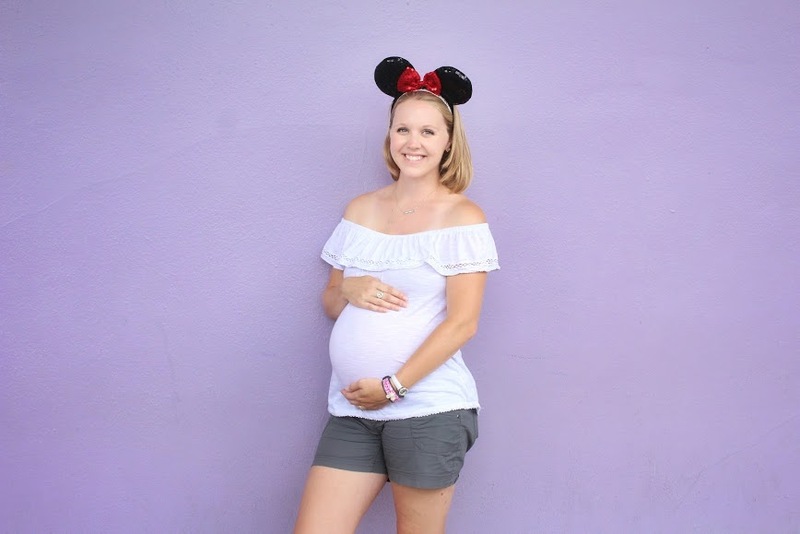 A day at Disney can make even normal people tired and fatigued, so if you’re pregnant you should definitely build in break times to help ensure a pleasant trip. Strategically plan shows or schedule a dining reservation during the hottest time of the day (1-4ish). Map out air conditioned wait queues (like meeting Mickey Mouse at Town Square or Pirates of the Caribbean) to help cool off. 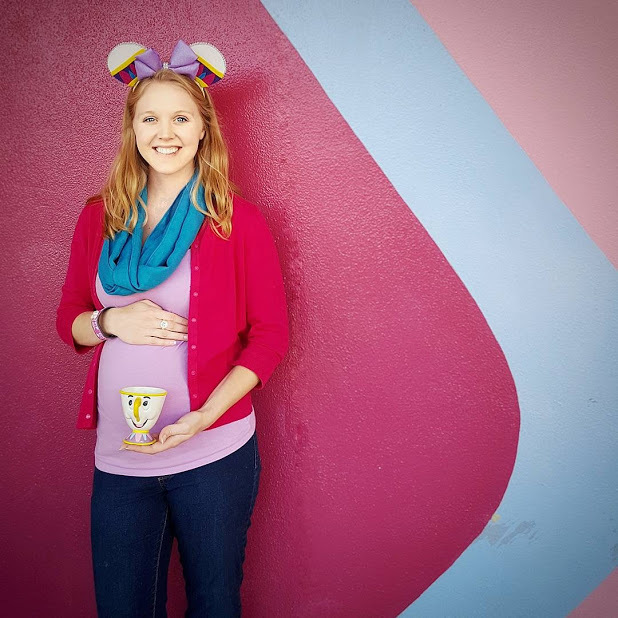 If you’re wondering what to wear to Disney when pregnant, this answer is going to vary based on when you’re visiting. If your trip is in November thru March, prepare for cooler nights and beautiful days. Layers will be essential. During the hotter months, I recommend comfy maternity shorts and tank tops. Breathable or moisture wicking fabrics are perfect for Disney World. Just because you’re pregnant, doesn’t mean you can’t look cute. 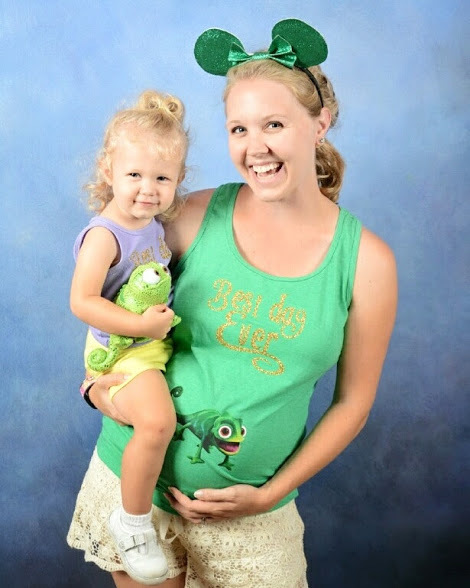 I did several fun ‘Disneybound’ outfits while visiting Disney when pregnant. Prepare to walk. A LOT. The Disney parks are spread out and even walking from the parking lot to the front gate can be tiring. Wearing proper shoes will help keep your feet from wearing out too quickly. 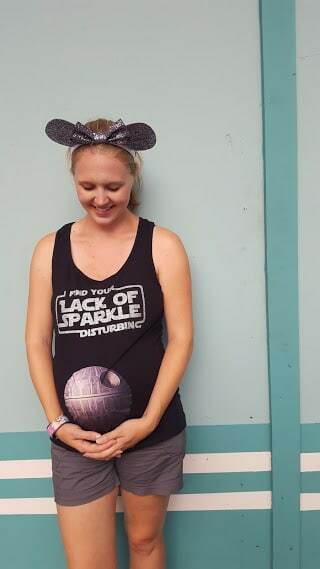 Dressing appropriately is key to surviving Disney World while pregnant. I always throw a pair of flip flops in the stroller and start the day in well supported tennis shoes. I’ll change my shoes around dinner time, sometimes sooner if my feet start to swell or if it’s rainy. While pregnant, you can ride almost anything without a height requirement. This rules out the bigger coasters and thrill rides as mentioned above. However, most rides are kid (and pregnancy) friendly. Depending on how far along you are, some rides with lap belts (Dumbo or Aladdin Magic Carpets) or rides with lap bars (Buzz Lightyear or Haunted Mansion) can still be a tight squeeze and quite uncomfortable. Ask the cast member at the front of the line to help determine what constraints are used and if it would be a comfortable ride. 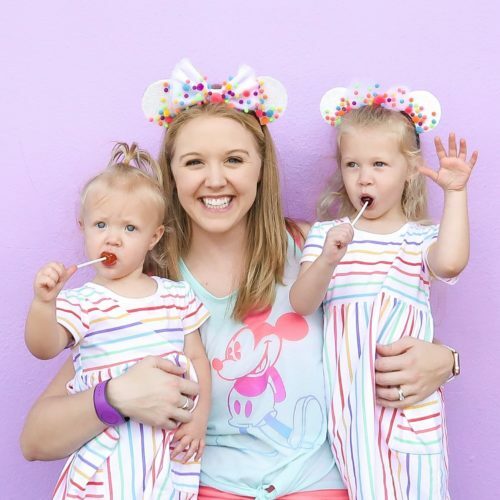 There are also lots of shows to see at each park, check out my full list of what to do in Disney World pregnant below. Meet Mickey & Minnie, Tinkerbell, Cinderella, Elena, Rapunzel, Tiana, Snow White, Winnie the Pooh & Tiger, Peter Pan and more! Meet Anna, Elsa, Donald, Snow White, Aurora, Belle, Alice, Mickey, Minnie, Goofy, Baymax, Joy & Sadness, and more! Enjoy seasonal festivals with speciality menu items, art and attractions throughout the year. Meet Mickey & Minnie, Monsters Inc Mike & Sully, plus characters from Star Wars, Disney Junior, Toy Story and more! LOTS of animal trails to walk and plenty of fun characters including Mickey & Minnie, Pocahontas, Russell and Dug, characters from A Bug’s Life, Tarzan, and more! I hope this information is helpful in planning your trip to Disney World while pregnant. If you have any questions, feel free to email me personally.